Looking back to my childhood I can see where it’s possible that tomatoes have allowed me to live longer. John, my younger brother, couldn’t eat tomatoes as they would make his lips and mouth raw with sores. All I thought back then was “more tomatoes for me”. Back then we were just kids and I didn’t really understand what he was going through and I had no problems eating all the tomatoes he couldn’t eat. I couldn’t get enough of tomatoes. Raw, cooked or baked into other goodies, it was all good. didn’t like. I didn’t think about health benefits back then. I was an eating machine and didn’t like eating things because were good for me. I ate them because they taste good and I had a bottomless stomach. Heck I’ve been eating tomatoes like there’s no tomorrow and still love them. If I was told they were good for me I might have stopped eating them. Only in the past few years have I learned that tomatoes have benefits for those who consume them. even preserve them like mom did when I was a kid. We grow more tomatoes every year and just this past season I started preserving tomatoes for those long cold winter months and will preserve even more next year. Tomatoes are right up there with potatoes when it comes to the most consumed vegetable in our home and I just read that tomatoes are the most consumed veggie in the U.S. I think tomatoes may win out because we have tomatoes with rice as well as potatoes, so there are days that we don’t have potatoes but seldom a day without tomatoes. We have been growing our tomatoes in our vegetable garden but next growing season we are going back to container gardening our tomatoes like we did before we had space for a garden. Keeping our tomatoes in a container garden or maybe raised bed gardens will allow us to grow more vegetables in our veggie garden without having towering tomato plants casting shadows on the smaller vegetables. closer attention to what I was putting in my body. for a tomato rather than a cookie. about the calories in tomatoes so check out this webpage about tomato calories. 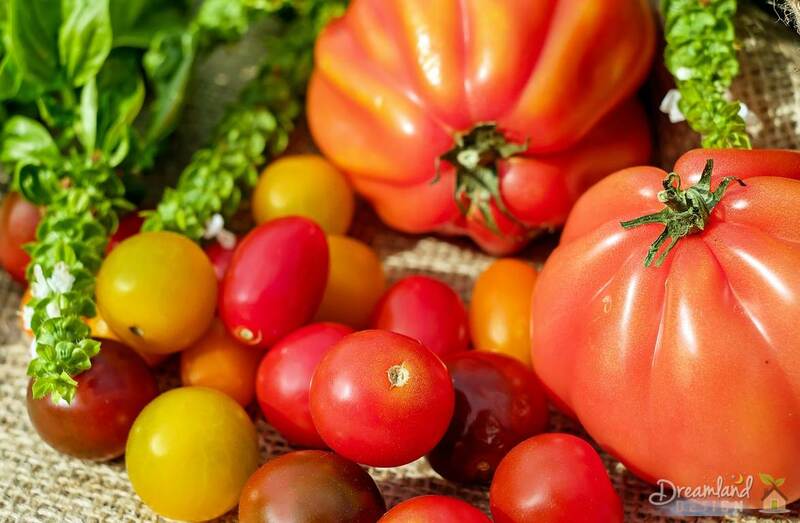 Not only are tomatoes fat free as well as low in calories they are filled with antioxidants as well. So I know I can eat them when I feel hungry and not have to think about the harm adding pounds can have, especially at my age. The antioxidant I am referring to here is called Lycopene which is one potent antioxidant that helps your body fight “cancer cell formation”. 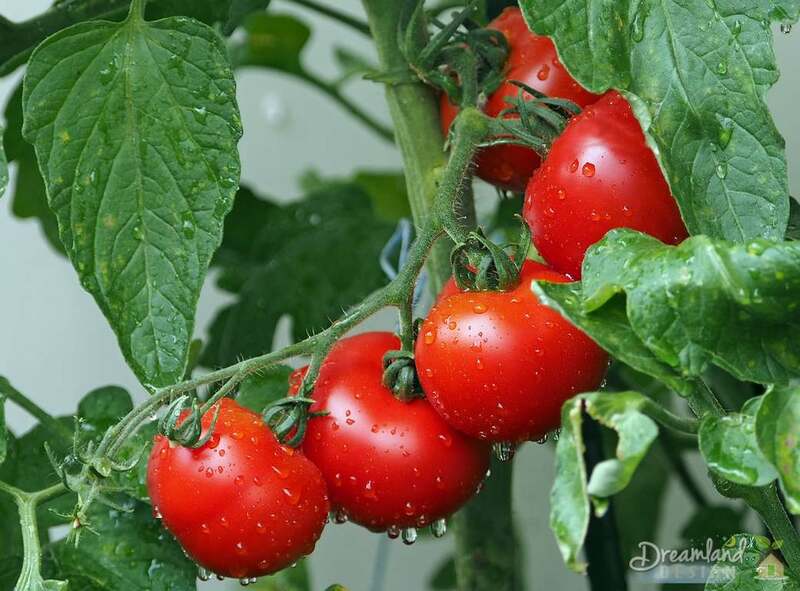 It is also responsible for the tomatoes’ red colour. Antioxidants are important in both humans and plants and may help prevent cell damage that can be caused by oxidative stress. I would suggest you check out Wikipedia to learn more about Antioxidants. Now that you know tomatoes are good for you maybe it’s time you started growing tomatoes. If you don’t have the ground available to start a garden think about container gardening. It’s how Jenny and I were able to start gardening long before we had a home of our own.